"A Bill to make provisions regarding arrangements for children involved in court cases; to make provision about the transparency, administration and accountability of courts and case conferences; to require the promotion of measures to assist families and such other persons as may be specified to reduce the cost of living through lower fuel bills; and for connected purposes." The objective of the bill "is to improve the quality of decision making relating to care matters and make the state more responsive to the welfare of children and families." As John says on his Web Log, the version that goes to the second reading is likely to be different. Details of who to respond to and the deadline (which is 20th September) are in the bill. 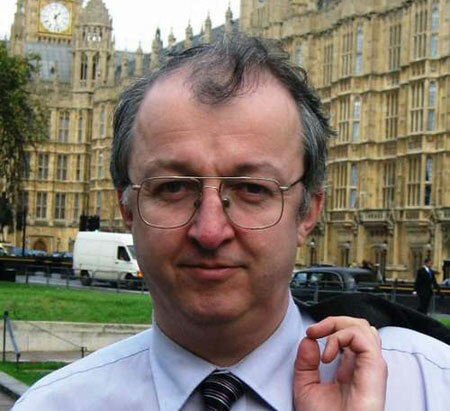 After J. Hemming's conduct in support of the wretched Vicky Haigh ,I'd don a stout pair of gloves before even reading. Family courts are not "secret;" they are confidential proceedings for the protection of the parties- most importantly, the children. No, of course family courts are not 'secret'. I have only had a very quick look at this, but thought it was interesting, given the title of the bill, that one of the first provisions in it relates to a secret ballot. 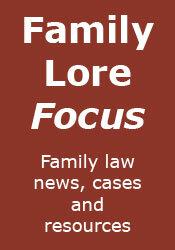 have you been in the position of family courts to know that they are so massively constricted to the parties involved? it is secretive and i know because ive been there. Thank you for your view, er... Annoyed. I have also been there, once or twice. so wheres the draft to read? At the link in the post. JOHN HEMMINGS HAS DONE MORE FOR PEOPLE WHO HAS HAD CHILDREN STOLEN IN THE UK BY SOCIAL SERVICES HERE JOHN SPEAK AT THIS CONFERENCE CHILD STEALING BY THE STATE SKEGNESS 12TH OF SEPTEMBER AND THE 13TH. https://www.facebook.com/#!/events/271379972957209/ YOUR KIDS WILL BE NEXT IN TO FORCED ADOPTIONS GOOGLE IT CHILD STEALING BY THE STATE YES WHERE IS THE DRAFT BILL ? Please do not post capitalised comments. The draft bill is at the link in the post, as I have stated. If you can't see it, that may be because your browser is not correctly configured to view .PDF files. John Hemming's ill informed crusade against social workers and family courts continues. The man has no idea what he is talking about. Can I ask how you came to that decision? are you a Social Worker? I can tell you are not a parent who's been wrongly accused of the most horrendous things imaginable, and not had a fair chance to fight for justice. Once you have been in that position, I might have sympathy for you. He does know what he is talking about!!! I have experience of Social workers!! They act like god taking peoples children when they dont need to & leaving the abused children with abusive families!! I hope you're not suggesting that that happens in every case. no, not all children. Social Services need to be around, they have a job to do, and most of the time they get it right. but the numbers of people being falsely accused are growing and growing. the number of children going into care in the uk is rapidly growing also.. something isnt right here. we cant be a nation of bad parents?? The number of care applications is certainly rising, and that appears to be due to the 'Baby P effect' - I agree this could be a cause for concern. As to being a nation of bad parents: hardly - the number of care applications remains a tiny fraction of the number of births in this country.